Linguistic relativity is based on the works of Edward Sapir and Benjamin Lee Whorf, and describes how the language we speak can affect and shape the way we see the world and how we think. While this is sometimes known as the Sapir-Whorf hypothesis, the hypothesis itself was not created by Sapir and Whorf, but rather by linguists Roger Brown and Eric Lenneberg. Brown and Lenneberg decided they would use colours to test Sapir and Whorf's ideas. Since then, colours and linguistic relativity have been the best of friends. What is the difference between blue and green? If you speak English, or one of the languages that distinguishes between them, you're probably thinking that they are obviously different colours. However, if you speak a language that doesn't distinguish between them, there is no difference. When presented with what I call "green" and what I call "blue", you would probably describe these two blue-green colours based on whether they're a light, dark, rich, or pale blue-green, rather than providing unique colour terms for each. 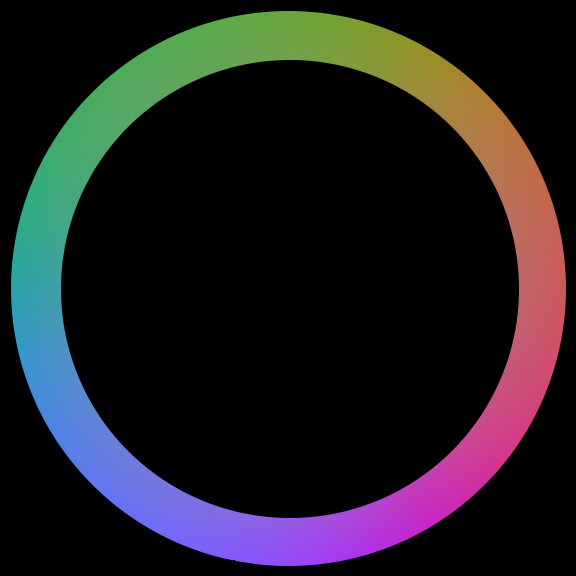 How many colours are there in this ring? With this in mind, today we'll be looking at the work of American scholars Brent Berlin and Paul Kay. These two worked with colours and languages and suggested that languages, in terms of the colours they distinguish, can be classified as being at a certain stage. For example, in a language in Stage I, there are two distinct colour terms that describe either a dark-cool colour or a light-warm colour. You could consider these similar to, but not exactly the same as black and white in English. Every language has at least these two distinctions. Berlin and Kay stated that languages developed terms for certain colours in certain orders, and would not have distinctions for colours in the higher stages before distinguishing those in a lower stage. This means, according to Berlin and Kay, that our blue-green issue from earlier would exist in all languages of Stage IV or lower (as a Stage V language would distinguish between them). This also means that any language that distinguishes brown from other colours already distinguishes blue from green. That's just the start of our trip to the end of the linguistic relativity rainbow; we'll be back on Monday with more ways to consider how languages, and their users, name colours.